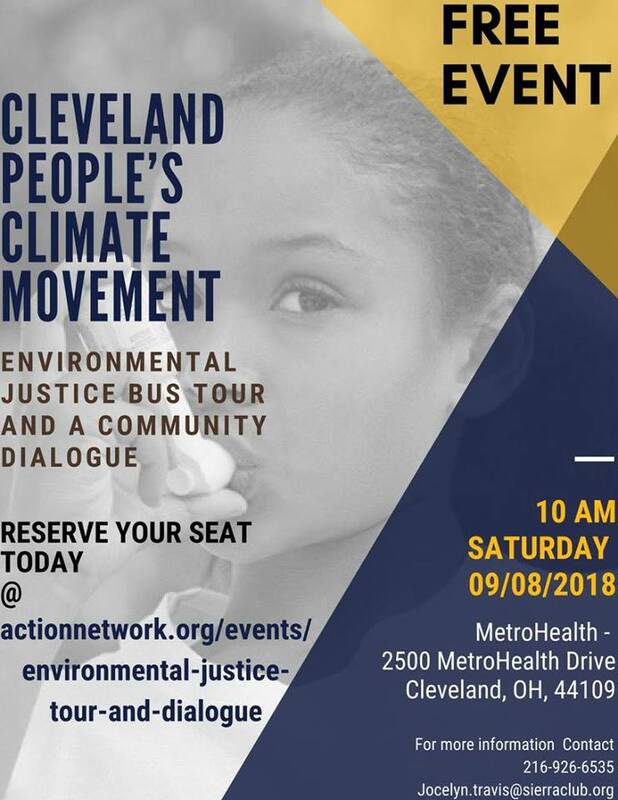 People’s Climate Movement event will be Saturday September 8th and will be hosted by the Cleveland People’s Climate Movement. This event will run from 10am to 2pm. This year we will be focusing on environmental justice in Cleveland. Join us for a noon luncheon, a presentation by sustainability expert Dr. David Orr and election of the FaCT Ohio Board of Trustees. 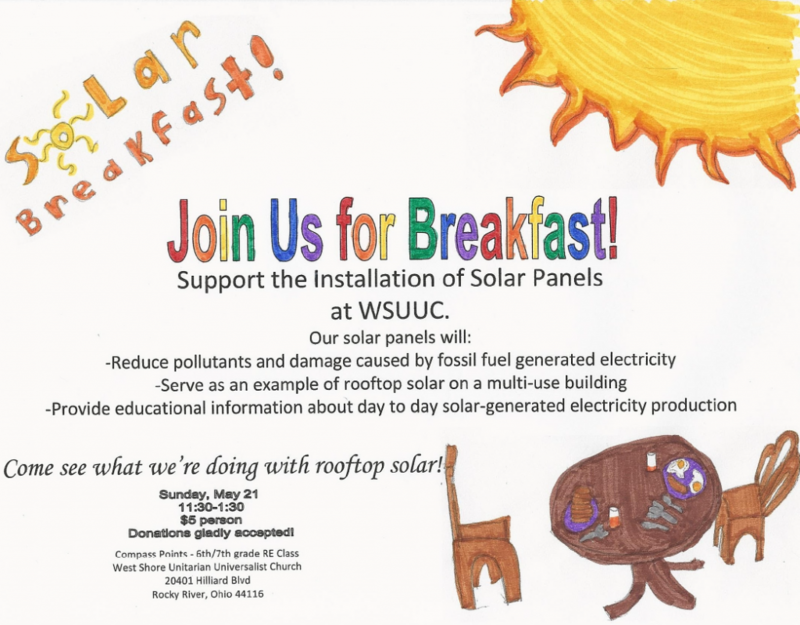 6th/7th graders are holding this fundraising breakfast ($5) to raise money to purchase one of the solar panels that will be installed on the church roof. Join us for pizza, movie and community discussion. In "How to Let Go of the World and Love All The Things Climate Can’t Change." Come hear Cheryl Johncox, National Dirty Fuels Organizer for the Sierra Club, and Kathie Jones, Convener of Sustainable Medina County explain why pipelines have become such a controversial topic nationally and in Ohio. Alan H. Lockwood, M.D., F.A.A.N., will speak on “Protecting Health on a Warming Planet.” His topic is the subtitle of his newest book, Heat Advisory (MIT Press 2016). Dr. Lockwood is Emeritus Professor of Neurology and Nuclear Medicine at the University at Buffalo and a Senior Scientist and long-time Board Member at Physicians for Social Responsibility. Please note that this project has been postponed and will NOT happen Aug. 14, 2016.